While visiting Resorts World Sentosa, take the opportunity to indulge in some of Asia best street gourmet at the Malaysian Food Street. Recreating on a 22,000 square feet space the warm and charming atmosphere of an old Malaysian town, you'll find here all the finest and most famous dishes from Malacca to Kuala Lumpur and from Ipoh to Penang. Some highlights include the famous Jalan Alor KL Hokkien Mee, Kuala Lumpur's Huen Kee Claypot Rice, Malacca's Chicken Rice Ball and the original purveyor of lor mee in Penang- Penang's Hai Beng Hainan Lor Mee. Among the many food stalls, visitors will enjoy the internationally renowned Fung Wong Confectionery from Kuala Lumpur, selling its popular egg tarts, kaya puffs and baked siew baos, freshly baked on a daily basis. There are also two halal certified stalls for amateurs of Nasi Lemak, Roti Canai and Nasi Briyani. 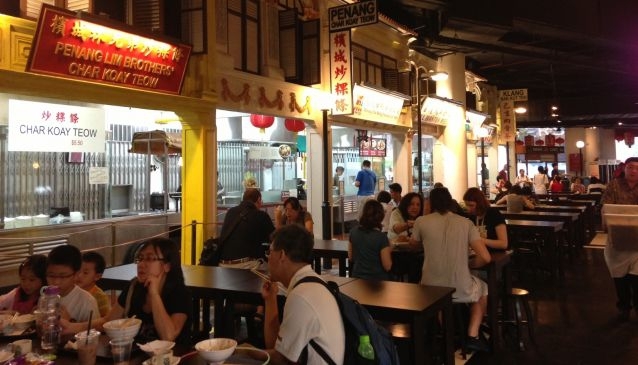 The Malaysian Food Street seats up to 516 guests and is fully-air-conditioned.